Andy is an 11 years Cisco veteran spending initial 6 years in Asia Service Provider business and recent 5 years in Enterprise and Public Sector. In his current role, Andy is responsible for the Public Sector business in Singapore and formerly in Cisco IoT development, aligned especially with the Smart Nation Initiative. He is spearheading Smart Nation projects with the ministries, agencies, and institutes, collaborating with smart city consultancy, IoT platforms, Street Lighting, metering etc. He was also the main influencer for Cisco with the government in the adoption of IPv6 in Singapore 4 years back. Prior to Cisco, he has spent more than 3 years in Huawei Saudi Arabia where he was Project Director in Huawei GSM Turnkey business with Etisalat in EMEA. Andy has a varied technical background in SDH, IP, GSM/Wireless and most recently in RF communication. He is well versed in communication technology used in Smart City/IoT deployments like LoraWan, RF Mesh (Wi-Sun), WIFI and GSM. He is also knowledgeable in the Cloud and Edge/Fog computing and IoT/Cyber Security to complement the communication protocol knowledge for a holistic IoT solution. Andy brings great energy and passion to his role in Cisco and is looking forward to working with the team to contribute further to Singapore’s Smart Nation and be a “disruptive” force. Outside of work, he is an avid soccer player in the veteran league and spends time engaging kids in Track N Field. Over 25 years’ leadership experience in investments, insurance, and healthcare. Led turned around and transformed several businesses – including three failed start-ups in real-time dynamic pricing, digital asset management, and interactive advertising. Independent director at Capital World Limited. Director and Investment Committee Chairman at Singapore Chinese Orchestra Company. Previous CEO roles in health financing at two leading Singapore private healthcare groups, stockbroking, investment banking, wealth management and private banking combined with digital entrepreneurial pursuits drive Victor’s vision to integrate investments, insurance, and healthcare into data-driven personal wealth management. Awarded Public Service Medal in 2009 and the Public Service Star in 2016 by the President of the Republic of Singapore. Dr Dirk F. de Korne holds positions as Adjunct Assistant Professor at Duke-NUS Graduate Medical School Singapore and Erasmus University Rotterdam, Netherlands. His implementation, research and teaching focuses on the diffusion of quality and patient safety innovations and include business process and systems redesign, human factors and ergonomics, and performance benchmarking. He holds an MSc in Health Policy and Management from Erasmus University Rotterdam and a PhD in Public Health from University of Amsterdam. Aybike Ongel received her B.S. in Civil Engineering from Bogazici University in 2002, and M.S. and Ph.D. in Civil and Environmental Engineering with an emphasis in transportation from University of California Davis in 2003, and 2007, respectively. From 20013 to 2017, she worked as an assistant professor of civil engineering at Bahcesehir University, Istanbul. From 2008-2012, she was an assistant professor in the Civil Engineering Department at the Kultur University, Istanbul and lecturer at Bogazici University, Istanbul. From 2010-2012, she worked as a Visiting Research Associate in Road Engineering/Sealing Components Department at EMPA Swiss Federal Laboratories for Materials Science and Technology. Ajay Sunder is a Vice-President for ICT at Frost & Sullivan, Asia Pacific. He is responsible for Frost & Sullivan’s Telecom Research and advisory services across the region. Ajay was previously with the Consulting team and has worked with telecom operators, regulators and government bodies in the region. He has led strategic consulting projects on market entry strategy, new services/product roadmap for some of the leading telecom operators/vendors in the region. Prior to Frost & Sullivan, Ajay worked as an Investment Manager with New Zealand Trade & Enterprise, the economic development agency for New Zealand in promoting investments in ICT sector and raising Capital for the New Zealand tech start-ups. Ajay earned his Bachelor of Engineering from Delhi College of Engineering, and MBA from the Indian Institute of Management – Calcutta, India. Ajay is also a Chartered Alternative Investment Analyst (CAIA). Manoj Menon directly manages Frost & Sullivan’s business in Asia Pacific. Manoj started at Frost & Sullivan in December 1996 as one of the pioneers when the company was just beginning its trajectory into Asia. He has, since then, successfully grown the company’s presence and business in Asia Pacific by manifold. Manoj continues to drive Frost & Sullivan’s expansion in the region, yielding the highest year-on-year growth to the group’s global business. Throughout his tenure at Frost & Sullivan, Manoj has consulted on multiple strategic and syndicated projects for leading multinational companies, regulators and government bodies, providing growth workshops and client counsels, among others. He is today one of the region’s most sought-after speakers and thought leaders, wherein his expert opinions have been heard at seminars and industry conferences globally. Manoj is also frequently featured in leading media, namely CNN, Bloomberg, Channel News Asia, CNBC, BBC, Singapore Business Times and Straits Times, and Malaysian Business. He earned his Bachelor of Engineering at Mumbai University and MBA at the ICFAI Business School in India. He is also a Chartered Financial Analyst. Allen Day is a Developer Advocate for Google Cloud. He’s focused on healthcare and computational biology applications of AI and BigData technologies. Allen holds a PhD in Human Genetics from the School of Medicine at UCLA. Cheaw Hwei is Head of Design for Philips ASEAN Pacific and Head of Philips Design consultancy for Asia. He is responsible for the overall direction of Philips Design in the region, leading the company through a design transformation, as Philips moves towards experience and solutions based innovation. Based in Singapore, Cheaw Hwei first joined Philips Design in 1991 and has since held various creative and management roles within the Netherlands and Hong Kong, before returning back as Design Director for Singapore and Senior Design Director for Philips Consumer Electronics in Asia. In 2007, Cheaw Hwei was made Chief Design Officer for Philips TV and Audio-Video, Multimedia plus Accessories businesses, where he transformed the function of design in both business groups and was instrumental in building a competitive product portfolio highly recognized for its design quality, as well as a global team of designers. Prior to his current role, Cheaw Hwei was Global Creative Director for Philips’ Consumer Lifestyle business (now known as Personal Health) as well as head of product and service design for the company from 2011 to 2014. Under his leadership, the company was able to drive a stronger branding and consumer experience by focusing on design-to-function and quality principles. Cheaw Hwei’s influence can be seen through today’s design expression across most of Philips’ product categories, such as the personal care, beauty and domestic appliance. Through the years, Cheaw Hwei has led Philips Design in design-thought leadership, design management, and creative and brand design strategy. Beyond achieving commercial success with his design work, Cheaw Hwei has led teams to win multiple local and international design and innovation awards, including the President’s Design Award, iF, RedDot and S’pore G-mark. A respected industry veteran, Cheaw Hwei has served as board member for various design platforms such as the Design Singapore Council, chaired various design initiatives including the organizing committee for the 2009 ICSID World Design Congress, judged at international competitions such as iF. He currently sits on advisory boards to design institutions, organizations and has served on various platforms such as the Singapore Design Masterplan Committee and CFE sub-committee for Innovation and Capability Development. He is also a frequent speaker at various international design forums and events and was recently awarded the Public Service Medal for his contribution to design education. Michael Fung is the Group Director (Training Partners Group), Chief Human Resource Officer, and Chief Data Officer at SkillsFuture Singapore (SSG). He oversees the development of the continuing education and training system in Singapore, through managing funding and contractual partnerships with private training providers, institutes of higher learning, and enterprises. He also oversees the human resource function, and champions the data capabilities, governance, and reporting practices at SSG. He previously led the strategic policy and resource planning functions at SSG and the Singapore Workforce Development Agency. Michael is an adjunct Senior Fellow at the Singapore University of Technology and Design, and was a Senior Advisor to the Office of the President at the Hong Kong University of Science and Technology (HKUST). He formerly held the position of Director of Planning and Institutional Research at HKUST, and provided leadership and support for the University’s strategic and academic planning, decision-making, resource allocation, and assessment of institutional effectiveness. He also led the University’s participation in international rankings, and was an advisor to several leading international ranking bodies. He was previously the Director of Strategic Planning and Quality Assurance at the Singapore Management University (SMU), a Deputy Director at the Singapore Ministry of Manpower (MOM), and held various senior positions at the Infocomm Development Authority (IDA) and the National Computer Board (NCB) of Singapore. He is the Founding President of the Higher Education Planning in Asia Association, and serves on the Carnegie Mellon University Admissions Council. He is an alumnus of the University of Southern California and Carnegie Mellon University in the US, and Tsinghua University in China. Henriette Cornet graduated from the Technical University of Troyes, France, as a Material Engineer in 2007. She worked at Technische Universität München as a Research Associate from 2008 to 2011 and received her doctoral degree in 2012. The topic of her Ph.D. thesis was the development of a sustainability screening tool for decision-making assistance in the field of urban mobility. From 2011 to 2016, she worked as a consultant for the automotive industry in Germany (BMW, Audi) within R&D projects about electromobility and alternative fuels. She was also involved as project manager in several EU-funded projects about energy management. In 2017, she joined TUM CREATE as Principal Investigator of Design for Autonomous Mobility (DAM). Ng Chan Wah graduated from National University of Singapore with a Master Degree in Electrical Engineering in 1999. He has since then worked with Panasonic R&D Center Singapore, and participated in a variety of projects from mobile communications to deep learning research for artificial intelligence. Throughout the years, he has represented Panasonic in various communications related standardization bodies such as IETF, IEEE and 3GPP. More recently, he is working very closely with Panasonic Automotive to develop deep learning related technologies. Ashley Chu is currently Regional Manager at Amazon, based in Singapore. She joined Amazon as Sr. Product Manager at Seattle, before transferring to Singapore, and has been working on international expansion and business development projects in the past few years. Prior to Amazon, Ashley spent the several years as a financial professional in San Francisco, specializing in fixed income trading and pricing strategy. On a personal level, Ashley is the Author of her book titled “550,000 Miles” that sells on Amazon, which is a collection of her travel journals for the past 7 years across 77 countries, where she shares her personal stories with local people and perspectives about economy, culture, nature, society, etc. By 2012, Ashley had completed all “7 New Wonders of the World”, as well as the only ancient Wonder of the World that still exists today, the Giza Pyramids. She has initiated volunteer projects across Africa, South America and Asia, and is truly passionate about international travel and development. She is also an amateur Latin dancer, photographer and fashion model. She holds a Master’s in Business Administration (MBA) from INSEAD (ranked as the World’s No. 1 MBA by the Financial Times 2017), a Master’s degree in Statistics from Columbia University, and a Bachelor’s degree in Communications and Media Studies from New York University. Prof Simon See is currently the Solution Architecture and Engineering Director and Chief Solution Architect for Nvidia AI Technology Center. He is also a Professor and Chief Scientific Computing Officer at Shanghai Jiao Tong University. Previously A/Prof See is also the Chief Scientific Computing Advisor for BGI (China) and has a position in Nanyang Technological Univ (Singapore) and King-Mong Kung Univ of Technology (Thailand). Prof See is currently involved in a number of smart city projects, especially in Singapore and China. His research interests are in the area of high-performance computing, big data, artificial intelligence, machine learning and computational science. Prof. See is also leading some of the AI initiatives in Asia Pacific. He has published over 100 papers in these areas and has won various awards. Prof See is also a member of SIAM, IEEE, and IET. He is also a committee member of more than 50 conferences. Dr. See graduated from University of Salford (UK) with a Ph.D. in electrical engineering and numerical analysis in 1993. Prior to joining NVIDIA, Dr. See worked for SGI, DSO National Lab. of Singapore, IBM, International Simulation Ltd (UK), Sun Microsystems and Oracle. He is providing consultancy to a number of national research and supercomputing centers. Mei Wai is a senior change marketing and business leader in the APAC marketing industry turned Entrepreneur, having taken leadership of iconic brands for global, regional and local corporates in diverse categories including personal care, food & beverages, luxury/ jewellery and banking for more than 2 decades. This include Unilever, Citibank, Fraser & Neave and family businesses like Heineken and Aspial. She has led the market and category entry, rejuvenation of brands, digitalisation, integration of brands for mergers & acquisition and stewardship of brands in leadership, challenger and/or ” to be sold“ positions in APAC. She is passionate about growing and turning around businesses and brands in Asia to take them to the next level of growth and development – essentially preparing and transforming brand businesses to embed change through an end-to-end brand business advisory focusing on Change Architecture, Change Marketing and Change Services. Mei Wai’s expertise includes strategic and uplifting brands, business and capabilities in Asian markets for medium to large Business Families to grow their brands within APAC and globally. Mei Wai’s passion is to nurture and build platforms to continually breed new brand marketers in Singapore and to raise the bar on creativity and innovation and has served as IAS’ Vice President for about 9 years. Fang Soong CHOU is the General Partner at Pix Vine Capital (PixVC), a Singapore-based Investment House providing early-stage venture capital to startups aspiring to commercialize innovative solutions in the areas of Info-Tech, Med-Tech, and Fin-Tech. PIxVC pursues an investment model with strong collaborative partnerships with other investors, incubators, and accelerators. It has to date invested in 40 plus promising, high technology ventures across Israel, Singapore, India, Vietnam, and the region. He has over 30 years of Technology, Management, Start-up, and Investment experiences. He is best known for his pioneering work with Gemplus (now known as Gemalto), a world leader in smart card & secured transactions. He started their Asia operation in Singapore in 1989 when the market for smart card was non-existent. He was instrumental in Gemplus’ phenomenal growth in Asia to become the market leader and innovator and grew the business from a start-up to an established Multi-National operation with major sales, R&D, and manufacturing facilities throughout the region. He was presented with the medal for “Chevalier de l’Ordre National du Merite’’ from the French Government on 27 July 2005 for his contribution and promotion of Smart Card Technologies in Singapore and the Asia Region. He was also recognized by the industry with the D’ucoty Business Leader of the Year 2005 award by Frost & Sullivan. During this time, he led the creation of a start-up company in Smart Card Loyalty Solution in 1997 funded jointly by Gemplus and a major regional Bank. The company became a major solution provider in Asia and was subsequently merged with Welcome Realtime of France in 2001. He participated in the setup and management of a US$6M Smart Lab Fund jointly held by Gemplus & EDB (Economic Development Board of Singapore) Investment in 1999 that funded many local technology start-up companies. His unique experiences in pioneering smart card technologies, start-up of software solution company, investing and nurturing start-ups; has developed his personal passion for funding and mentoring technology start-up companies with innovative solutions. Saki Kobayashi is the Co-Founder & COO of LCO-Creation, a Singapore-based Mobile backend as a service (MBaaS) company and the creator of “TravelDoor” – one of the leading travel apps for Japanese tourists that contains offline city guides for over 50 cities around the world. Utilizing this technology, the company provides mobile app and backend solution “TravelDoor for Business” to B2B clients across the globe including tourism boards, airlines, publishers, and financial service institutions. In 2015, LCO announced that it secured a strategic investment from Digital Garage, a public listed company in Japan (Singapore’s National Research Foundation and other investors successfully exited from the company). In 2016, LCO was selected as one of the top 4 startups at Web In Travel North Asia & Japan, a global travel conference. Having lived in multiple countries, Saki is passionate about traveling and making a global impact through entrepreneurship. Prior to co-founding LCO, she helped with overseas expansion at NTT Communications. Before joining NTT, she was in charge of global business development at Granma Inc., a BOP startup, and founded a water and sanitation organization for villages in Cambodia. Saki holds a bachelor’s degree in International Liberal Studies from Waseda University. Dr. Pauline Tay manages the Innovation and Enterprise Directorate at the National Research Foundation (NRF) of the Prime Minister’s Office of Singapore, formulating and implementing strategies and programmes to catalyze innovation and enterprise development through technology. Since assuming the role, she successfully rolled out many platforms for the tech ecosystem, such as the Singapore Week of Innovation and TeCHnology (SWITCH), Early-Stage Venture Funds, Central Gap, SGInnovate, etc. Prior to this, Dr. Tay headed the Healthcare cluster at Intellectual Property Intermediary (IPI) for 4 years, providing technology scouting services and advice to the industry. With a Ph.D. in Stem Cell Biology, and 8 years of R&D experience in a start-up, overseas university (Osaka School of Medicine) and government research institute (Institute of Medical Biology), Dr. Tay has an extensive network with local and overseas research, technology and enterprise communities. Before that, she started her career as a training consultant at the Singapore Productivity and Standards Board (PSB), followed by another 3 years of research administration at the Agency for Science, Technology, and Research (A*STAR). Gerald is a cofounder of Lazada Group and has initially joined the group in 2012 in Vietnam, as country Chief Operating Officer. He has been responsible for setting up and running all operations from scratch in Vietnam, from Customer Service, Warehouse Fulfillment, Sourcing, Delivery and Returns to Onsite Content Management and Market Place Operations. Over the past 6 years, the company has developed from a small start-up, fulfilling a few orders in the office, to a big operation with several warehouses, offices and an own pick-up and delivery fleet. Since the beginning of 2017, Gerald has joined the regional Lazada E-Logistics team in Singapore and is responsible for Lazada Express Network Design and Strategic Planning centrally, overseeing the 5 Lazada countries that have their own fleet (LEX). These countries are Indonesia, The Philippines, Thailand, Vietnam and Malaysia. Prior to joining Lazada in South East Asia, Gerald worked as a consultant with Bain and Company and LEK Consulting out of the Munich and Boston offices. Gerald is an engineer by education and has obtained an MBA from IESE Business school in Barcelona, Spain. A 30-year veteran in Hospitality and Real Estate Management, Tan Kim Seng is Chief Operating Officer for Meritus Hotels & Resorts, an award-winning Asian hospitality brand under the hospitality division of OUE Limited (SGX-ST: “OUE”). Prior to his appointment with Meritus Hotels & Resorts, he held senior management roles with Millennium & Copthorne International, Shangri-la Asia, Allgreen Properties, and OUE Limited. He was also previously Managing Director of the Asia Pacific Region for IFH Worldwide, a global Training and Quality Performance Benchmarking Services provider for the international hospitality industry. Concurrently, he was Managing Director for Peak Hospitality Solutions Pte Ltd, a consultancy providing hospitality revenue and project solutions in the Asia Pacific. Ms. Mahajan is the Head of Asia Pacific Public Policy & Regulatory Counsel where she is responsible for strategic-level Regulatory and Policy advice regarding Verizon’s business operations in Asia-Pacific. She is currently based in Singapore. Priya has previously served as Chief Counsel for Verizon-India where she was responsible for providing legal advice and guidance on regulatory, policy & commercial matters pertaining to India operations. Priya holds extensive experience in advising on Telecom, Media and Technology areas on a range of regulatory & policy matters such as converged networks, new age digital services models, outsourcing, Data Privacy laws, Traditional Telecommunication Services (Mobile, Access, International Long distance & OSP Licensing issues, OTT/Platforms regulations. In her policy role, she closely monitors the public policy developments related to the Internet, emerging technology trends & new age Digital & Media services. She holds the honorary position of Vice President at the Association of Competitive Telecom Operators (ACTO), an industry advocacy body representing the interest of Global carriers in India. She is a founding member of the Society of Women Lawyers (SoWL), focused on continuing Legal education, improvements in laws relating to women, mentoring and professional platform for women lawyers in India. Priya is a qualified attorney, an Associate member of Institute of Company Secretaries of India (ICSI). She has also attended the Accelerated Management Programme (AMP) at Indian School of Business, Hyderabad. Timothy is currently an Innovation Leader at the DHL’s Innovation Center, where he is responsible for trend research and converting new trends into proof-of-concepts. He is also the Head of Data Analytics for the Customer Solutions and Innovation BU for the region, responsible for deepening the use of data analytics to generate new value-add and business growth opportunities. Prior to DHL, he was the Asia-Pacific Head of development and profitability for the Burger King Brand. He was also with EDBI, the strategic investment arm of the Singapore Economic Development Board (EDB) for a number of years, focused on Singapore-based investments. He started out his career with the EDB with their Logistics industry development group. Alex Kimura was appointed as Chief Strategy Officer of Aviva Asia in 2014 and Managing Director of Friends Provident International Japan in 2015. His current responsibilities include Strategy, Corporate Development and Mergers and Acquisitions, Digital and Analytics, Corporate Responsibility and Transformation for Asia. Alex brings with him a wealth of operating expertise and experience in the financial services industry and the Asian markets. A main area of focus has been on digital innovation where he spearheaded efforts to launch the Digital Garage and also form the JV with Hillhouse and Tencent. He is also the current Chairman of the MAS Digital Innovation Roundtable. Prior to Aviva, he was with the AXA Group since 2000 and was first appointed as Chief Operating Officer of AXA Japan and a member of their Management Committee. Since 2006, he oversaw the Asia Pacific region reporting to the Group CEO. During this time, he was instrumental in the major transactions and structuring activities across the region and a key part of the strategic transformation of AXA in the region – from the turnaround of AXA Japan to the strong tier 1 positioning that has been attained to date. He also served AXA’s interests on several of the JV boards across the region including with Mandiri Bank, ICBC Bank, Minmetals Group, Bharti and Taikang Life. Before joining AXA, Alex was at Bain, where he worked mainly in the US and Asia on insurance and financial services strategy, private equity transactions and cross-border mergers and acquisitions. Alex also worked for many years in the investment banking at Morgan Stanley in Asia and the US. He holds an MBA degree from Columbia University in Finance and International Business with Distinction and completed Stanford University’s Executive Leadership Program. Ms Poh Mui Hoon is an experienced Digital Director on boards of both for-profit and non-profit organisations. Mui Hoon’s career over the years has spanned various technology companies in areas such as electronic payments, e-commerce, data centres, systems integration, and telecommunications. Mui Hoon is a member of the SID Governing Council and currently a Board Member of Singapore Pools, Sistic.com, and SATA CommHealth. She was formerly on the boards of various organisations such as Singapore PowerGrid Pte Ltd, SP Telecommunications, and many other private companies. She is also part the NTUive Pte Ltd’s Investment Committee for the Strategic Research Innovation to evaluate innovative technology ideas. Mui Hoon was conferred the Distinguished Alumni Achievement Award by the Institute of Systems Science, NUS, in 2011 and is currently a Fellow of both the Singapore Institute of Directors and Singapore Computer Society. Dr Wai-Hoe Ng is the Medical Director of the National Neuroscience Institute and Academic Chair of the SingHealth Duke-NUS Neuroscience Academic Clinical Program. He is also the Dy Chairman of the SingHealth Medical Board. He is a graduate from the medical school (MBBS) at National University of Singapore. He is a Fellow of the Royal Australasian College of Surgeons (FRACS) and Fellow of the Academy of Medicine Singapore (FAMS). He was a Singapore Millennium Foundation Fellow and pursued a Doctor of Medicine (MD) by Research from the National University of Singapore (NUS) in Brain Tumour Research. He also has a Master of Business Administration (MBA) from INSEAD. Dr Ng is a practicing neurosurgeon with a subspecialty practice focused on Neurosurgical Oncology (Brain Tumours), Stereotactic and Functional Neurosurgery and Epilepsy Surgery. Dr Ng has published over 100 scientific papers and book chapters and has been awarded research funding from the National Medical Research Council (NMRC) and Agency for Science, Technology and Research (A*Star) as Principle Investigator. He is a member of the Neuro-oncology Committee of the World Federation of Neurosurgical Societies (WFNS), Executive Editor of the Asian Journal of Neurosurgery and a member of the Editorial Boards of several major neurosurgery journals such as the Journal of Clinical Neuroscience, World Neurosurgery, and CNS Oncology. He is active in local and international neurosurgery education and is a member of the Neurosurgery Residency Advisory Committee (RAC), Vice-Chairman of the Chapter of Neurosurgeons (Singapore), member of the Education and Training Committee of the Asian Congress of Neurological Surgeons (ACNS) and Programme Director for the WFNS Post-Graduate Training Centre at NNI which offers fellowship training for young neurosurgeons from developing countries. Alexander Mastrovito is the project leader for Scania’s deployment of autonomous trucks in Singapore and the architect of Scania’s Hong Kong Fleet Management Centre. The Centre is dedicated to promoting efficient and sustainable heavy-duty road transport of goods and people. Alexander is also responsible for promoting sustainable transport solutions including working on bio-fuel projects ranging from ethanol and bio-diesel to biogas produced from local waste. He is also heading up Scania’s regional work in Asia paving the way for electromobility, autonomous vehicles, ITS and mobility as a service. He is currently Head of Sustainable Transport Solutions with Scania in Asia & Oceania, based in Hong Kong. Prior to joining Scania he was based in Beijing and has now spent 11 years in the Greater China region working in the automotive industry. Alexander currently holds positions within several environmental policy-making bodies in Hong Kong. He holds a Master’s Degree from Uppsala University, Sweden. Dr. Saumya Jamuar is the co-founder of Global Gene Corp, a Singapore based genomics platform company with a vision to democratize genomics to positively disrupt healthcare for everyone. Dr. Jamuar is also a Consultant in the Genetics Service at KKH and serves as the Clinical Lead of the Precision Medicine Initiative and Singapore Childhood Undiagnosed Disease Programme. He completed his Genetics Fellowship at the Harvard Medical School Genetics Training Program and worked as a post-doctoral fellow at Harvard Medical School from January 2012- December 2013. He is actively involved in research and has presented at both local and international meetings. His research areas include genetic disorders, precision medicine, and neurodevelopmental genetics. He was awarded the Young Investigator Award at the American Epilepsy Society meeting in 2013 and is also the recipient of the 2015 Singhealth Outstanding Young Researcher Award. David Rosen is a Professor in the Engineering Product Development (EPD) Pillar and is a co-Director of the Digital Manufacturing and Design (DManD) research center. Prior to joining SUTD, he was a Professor and Associate Chair for Administration in the School of Mechanical Engineering at the Georgia Institute of Technology, where he served as Director of the Rapid Prototyping & Manufacturing Institute. He received his Ph.D. from the University of Massachusetts in 1992 in mechanical engineering. His research interests include computer-aided design, additive manufacturing, and design methodology. He has industry experience, working as a software engineer at Computervision Corp. and a Visiting Research Scientist at Ford Research Laboratories. He is a Fellow of ASME and has served on the ASME Computers and Information in Engineering Division Executive Committee. He is the recipient of the 2013 Solid Freeform Fabrication Symposium, International Freeform, and Additive Manufacturing Excellence (FAME) Award and the co-author of a leading textbook in the additive manufacturing field. Tan Chong Huat is the Senior Partner and one of the founding members of RHTLaw Taylor Wessing, a leading international law firm in Singapore. He also serves as a member of the International Management Board of Taylor Wessing. His experience and track record as a leading finance and corporate lawyer, successful entrepreneur, and investor, reputable corporate leader, and public service champion, and dedicated law professor coupled with his strong practical and academic grounding throughout his career has made Chong Huat the trusted go-to expert for complex financing transactions, deals structuring, funding and matching, corporate governance and board matters, and reputational management matters for corporate leaders and major corporates in the region and internationally. Chong Huat has acted in numerous significant corporate transactions in the areas of IPOs, RTOs, MBOs, restructuring, M&As, and financing of major real estate and infrastructure. He has been named a leading practitioner in many reputable professional publications, with a recent recognition by IFLR1000 as a “Leading Lawyer” and by Legal 500 Asia Pacific as a “Leading Individual” for Corporate and Mergers & Acquisitions. He also co-founded the RHT Group of Companies, where the entities within offer non-legal professional services that complement the law firm. Over the years he has successfully invested in start-ups, SMEs, and listed companies. Sunil has been involved in the renewable energy industry for more than a decade. Prior to his current role Sunil was global head of cleantech banking at Standard Chartered and global head of technology and cleantech research at Morgan Stanley. During his term, Sunil steered these institutions to win many prestigious industry awards. 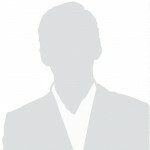 He has had a firsthand experience of participating in the emergence of cleantech companies in Asia, Europe and the US. Over the last decade, Sunil has extensively participated in discussions with regulators in structuring and formulating policies for renewable energy. Joseph Fitzsimons is a Principal Investigator at the Centre for Quantum Technologies, Singapore’s first Research Centre of Excellence, and an Assistant Professor at Singapore University of Technology and Design. His research spans all areas of quantum computation including quantum computer architectures, quantum algorithms, and secure computing protocols. Joseph leads the Quantum Theory and Information group at CQT and SUTD, an interdisciplinary research group of physicists and computer scientists focused on developing applications which exploit quantum effects to enhance computation and cryptography. He holds a BSc in theoretical physics from University College Dublin and a DPhil from the University of Oxford. Before his move to Singapore, Joseph was a fellow of Merton College, serving on the college’s governing body, and a senior research fellow in Oxford’s Department of Materials. Joseph is currently a National Research Foundation Fellow, and in 2016 was named to MIT Technology Review’s Innovators Under 35 Asia list. Goh Chee Kiong joined SP Group in November 2017 as the Head for Strategic Development, responsible for open innovation and developing new energy solutions in SP. The coverage includes renewables, storage, microgrids, energy management and electric mobility. Prior to SP, Chee Kiong served in the public service with the Singapore Economic Development Board (EDB) for two decades, during which he led the development of the cleantech, urban solutions and infrastructure sectors in Singapore. His last role in EDB was the Executive Director for Cleantech, Cities, Infrastructure and Industrial Solutions. He was responsible for conceptualising and implementing several landmark cleantech-related initiatives in Singapore, such as the growth of the water industry as a national focus area, the SolarNova programme which aggregates solar demand across government agencies, the floating PV pilot as well as the EV car sharing programme. Remco is the point person for the Asia Pacific markets for PAL-V, which has developed and is introducing now the first Flying Cars, The PAL-V Liberty and The Pal-V Liberty Sport Edition. Jiin Joo co-founded Garuda Robotics in 2014, a leading cloud robotics startup aimed at developing end-to-end drone data solutions for businesses in South East Asia. Jiin Joo comes from a diverse background consisting of 16 years of software development, technology scouting, business development, government service and telecommunications. In his current role, he leads the software engineering, field computing, cloud operations, GIS and data analytics teams, and is responsible for private cloud implementations of their flagship software suite, Garuda Plex, to help large enterprises build a drone operations team, and extend the IT department’s capabilities to handle the demands of managing and analyzing drone data. Dr. Hai Wang is currently the Senior Vice President of Global Technology Innovation at NXP. In the past 27 years, he has established successful global management track record in the areas of General Management, R&D, Engineering, Operations, Marketing and Business Development in several major global semiconductor corporations and multiple start-up companies. He is passionate about establishing winning strategies, driving flawless execution, managing efficient operations, delighting customers & developing breakthrough technologies. Dr. Wang graduated with his Ph.D. in Electrical Engineering from The Ohio State University, U.S.A., and MBA from San Jose State University, U.S.A. He currently lives in Singapore with his family. Phyllis has been instrumental in providing critical strategic directions and resource allocation for key functions including business growth and talent management, guiding the company in its current phase of regional expansion and attaining sustainable profitability. She is playing a key role in driving long term growth strategies focusing on Innovation, International Partnerships and Corporate Planning. Eric Phillips is a partner at NBBJ, a global architecture and design firm that has been ranked one of the most innovative in the world. As partner-in-charge of NBBJ’s Shanghai office, Mr. Phillips oversees day-to-day business operations, manages business development opportunities and guides the long-term growth strategy for the office. In addition, he helps lead the firm’s overall Asia strategy, which includes high-profile projects for Alibaba, Tencent, Microsoft, CDL, Sinarmas, and Swire. Eric’s work includes the design of corporate headquarters for companies, large-scale mixed-use developments, five-star hotels, high-end residential buildings and higher education projects. His leadership is defined by a command of design excellence and passion for high-quality delivery. As represented in his projects, Eric approaches his work with a collaborative design process that is centered on ensuring that client aspirations connect directly with high-performance design outcomes. In addition to his duties at NBBJ, Eric is an active participant in the American Institute of Architects (AIA) and the Council of Tall Buildings and Urban Habitat (CTBUH). He has also served as a visiting professor of architecture at Tongji University in Shanghai and adjunct professor of interior design at the Seattle Art Institute and Bellevue College. Chris currently leads the Transport Ministry’s Futures Division, which is responsible for generating transport foresight and incubating future mobility concepts. This includes conducting trials and studies to test out new mobility concepts (current projects managed by the Division include autonomous vehicle and truck platooning trials and simulation and modelling studies), as well as industry development efforts. Recognising that the deployment of new technologies and mobility concepts often involve cross-domain coordination, the Futures Division also takes on the responsibility of driving strategy and policy formulation as the Secretariat of two national inter-agency committees: the Committee on Autonomous Road Transport for Singapore (CARTS) and the Unmanned Aircraft Systems (UAS) Committee.